Robert Clay Johnson, son of LeRoy Clay Johnson and Violet Holtz Johnson, was born November 22, 1920 in Crofton; Knox County, Nebraska. Bob was united in marriage to Evelyn Marzella Hill on Thursday; October 6, 1949 in Indianola; Warren County, Iowa. They lived in Decatur County for the last 22 years and had also lived near Milo; Warren County, Iowa and farmed in northern Missouri for nearly 15 years. His last two months were spent at the Leon Care Center. Bob was a lifetime farmer but also worked as an arc welder at Ford Motor Company in Des Moines; Polk County, Iowa for 18 years. He continued to work for 22 years after his retirement doing woodworking for contracting companies. Bob was a gentle man who loved working with wood and found it very rewarding; he enjoyed building things beginning from the timber. He was a dedicated father and grandfather making cradles for all of his children. He enjoyed gardening and still picked wildflowers "for his bride" after all these years. He had an infectious laugh and great sense of humor; he felt that his day was wasted if he couldn't get up early and spend time reading his Bible. Robert Clay Johnson, 86, passed away on Tuesday; January 30, 2007 at the Decatur County Hospital in Leon; Decatur County, Iowa. Those left to mourn his passing are his wife, Evelyn Johnson of Grand River; Decatur County, Iowa. Their children, Larry Johnson of Osceola; Clarke County, Iowa. Patty (Doug) Downard of Van Wert; Decatur County, Iowa. Carolyn (Dave) Olson of Norwalk; Warren County, Iowa. Marcia Johnson (James Farlow) of Osceola, Iowa. Lynn (Joyce) Johnson, of Grand River, Iowa. James Johnson of Grand River, Iowa. A family friend, April Smith of Grand River, Iowa. 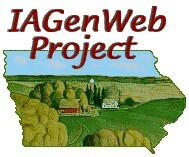 Their grandchildren, Susan (Michael) Lowers of Leon, Iowa. Sharon (William) Vandel of Conesville; Muscatine County, Iowa. Teresa Hosley of Orofino; Clearwater County, Idaho. Gary (Lisa) Johnson of Grangeville; Idaho County, Idaho. Jodi (L.C.) Burtchett of Leon, Iowa. J.R. (Lacey) Johnson of Urbandale; Polk County, Iowa. Jill Johnson (Josh Peterson) of West Des Moines; Polk County, Iowa. Rob Johnson of Des Moines, Iowa. Randi Pasco of Des Moines, Iowa. Kevin (B.J.) Passmore of Mercer; Mercer County, Missouri. Jessica Passmore of Van Wert, Iowa. Kristin Passmore of Van Wert, Iowa. Stephanie Downard of Van Wert, Iowa. Tyler Downard of Van Wert, Iowa. Billy Hart of Des Moines, Iowa. Carrie Olson of Norwalk, Iowa. Michelle Cox of Osceola, Iowa. Travis Lamb of Osceola, Iowa. Dustin Emerson of Osceola, Iowa. Michael Johnson of Grand River, Iowa. Clayton Johnson of Grand River, Iowa. Nick Johnson of Grand River, Iowa. Robin Johnson of Grand River, Iowa. Uwe Stegmann of Mt Ayr; Ringgold County, Iowa. Thirty-two great grandchildren. Two great great grandchildren. His sisters, Esther (Galen) Butterball of Iowa City; Johnson County, Iowa. Charlotte (Ed) Hanten of Akron; Summit County, Ohio. Reba Beasley of South Carolina and Joyce Webber of Maine. A brother, Michael (Shirley) Johnson of Kansas City; Jackson County, Missouri as well as a host of other relatives and friends. Bob was preceded in death by his parents; twin sister, Roberta Nicklos; sons, Gary Johnson and Bobby Johnson; grandson, Christopher Passmore; brother, Kenneth Johnson; grandson, Delaine Sykes; mother-in-law, Cecilia Hill. May they all rest in peace. No visitation. Funeral services will be held at Kale Funeral Home in Osceola, Iowa beginning at 2:00 p.m. on Friday; February 2, 2007. Memorials in Bob's name may be donated to the Full Gospel Church of Praise in Grand River, Iowa. Kale Funeral Home of Osceola is caring for the family and the arrangements.